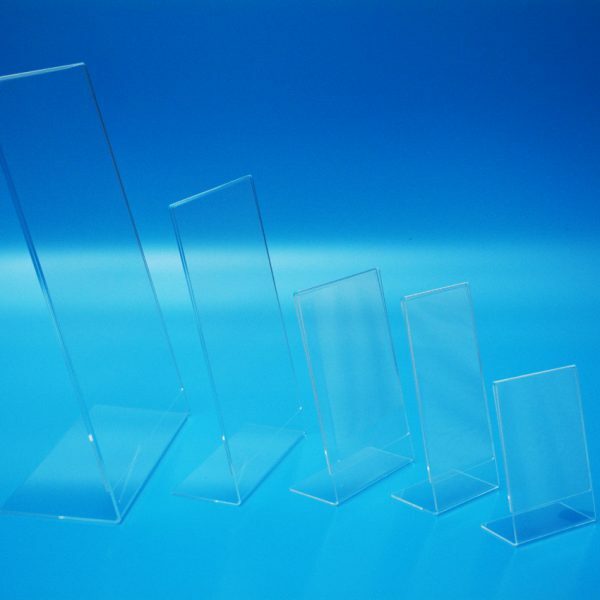 Acrylic counter standing menu and sign holders, perfect for menus, leaflets and signs. Full, unobstructed viewing of displays. Manufactured in either clear acrylic, or PETG, these sign and menu holders will suit any occasion and can be re-used multiple times.